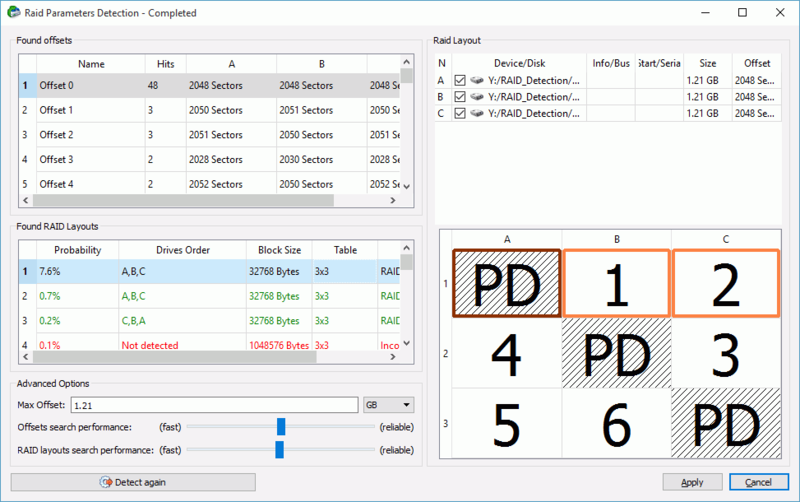 R‑Studio can find parameters for RAID 5 and 6. RAID parameters can be found automatically or manually. 2 Click the Apply button and R‑Studio will change the RAID layout to the selected one on the Parents tab. > R‑Studio will use the found parameters for the RAID. 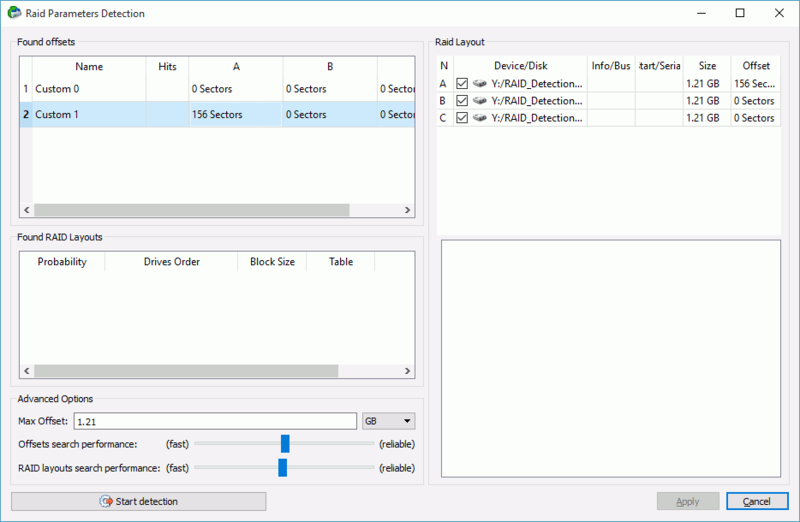 You may change the disk order, offset for disk(s), and enable/​disable disks. You may add your own RAID offsets. 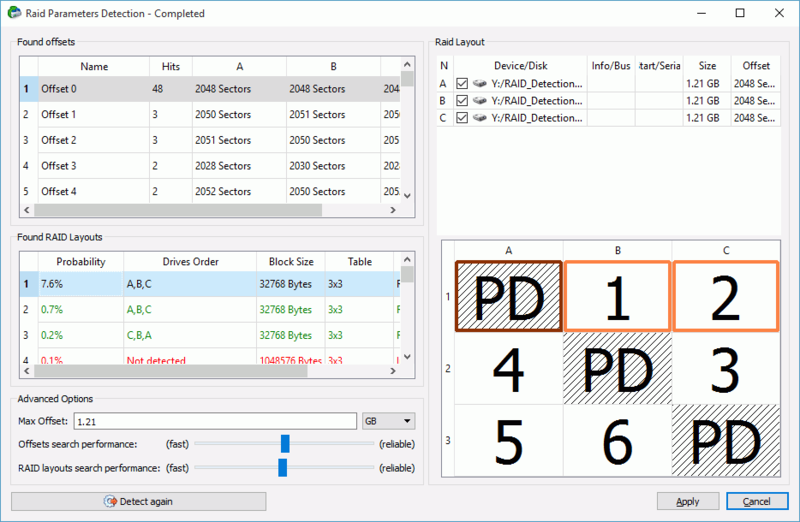 Right-click empty space on the Found offsets pane and select Add Custom offset on the shortcut menu and specify the offset individually for every disk.